If you have been following me for long you probably know how strongly I feel about the relationship with your recruiter. In my opinion it is the most important person you will work with when you make the decision to look into travel nursing. Whenever I talk to a prospective travel nurse I usually draw the analogy of a movie star and and their agent. The agent represents the movie star to the motion picture industry. I represent my nurses to the travel nursing industry. The title of recruiter is really a misnomer. It gives the impression that the only duty of the job is to “find and convince” a nurse to take a travel nursing job. That is far from accurate. 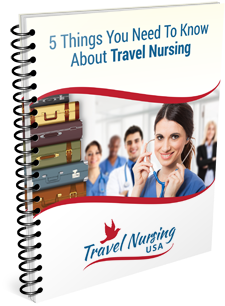 In almost all travel nursing agencies, recruiters have wide ranging responsibilities which entail the full management of the client nurse. You are an employee of the agency, NOT the hospital and as such the “recruiter” functions almost as your personal HR Department. A few of us are Independent recruiters and don’t work for a particular agency or vendor. We have the added responsibility of representing you to the agencies. The point in all of this is that you should select your personal representative carefully. If you call an agency cold you will probably be directed to the recruiter who is “next up.” You have no idea if they are the best the agency has or a spanking new rookie who is learning on the job. You should be prepared! You should take charge of the interview (call) and be the one asking questions. Only after getting satisfactory answers and feeling the chemistry is right should you take it to the next step. If you don’t feel it working for you with the recruiter but want to do business with the agency, request a different recruiter. You are the boss! Before you call any agency (or me for that matter) you should prepare a list of questions that will generate conversation and get you the information to use to decide whether this is for you. I have created a free “First Call” checklist that you can download and print out for use on that initial call. Use it to guide the conversation, gather information and help you decide if travel nursing, and that recruiter in particular, would be a good fit for you. As always, if you have any questions or comments feel free to contact me personally. That’s what I am here for. 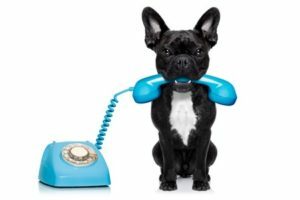 If you would like to talk with an Independent Recruiter with access to thousands of jobs nationwide via many different agencies and vendors drop me an email and we can hop on the phone for a few minutes. conrad@travelnursingusa.com. Text or call at 650-376-0456. Please send me a copy of the checklist.